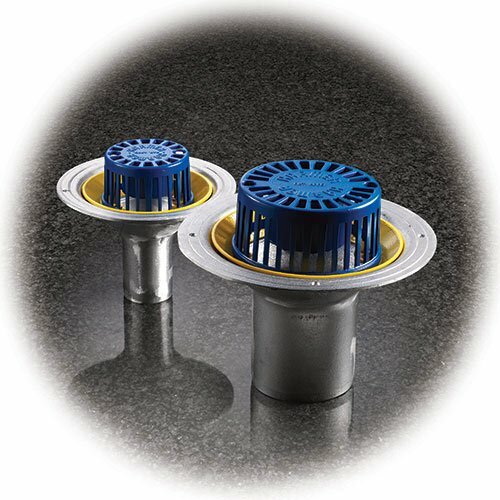 We are now stocking a comprehensive range of Harmer drainage outlets. 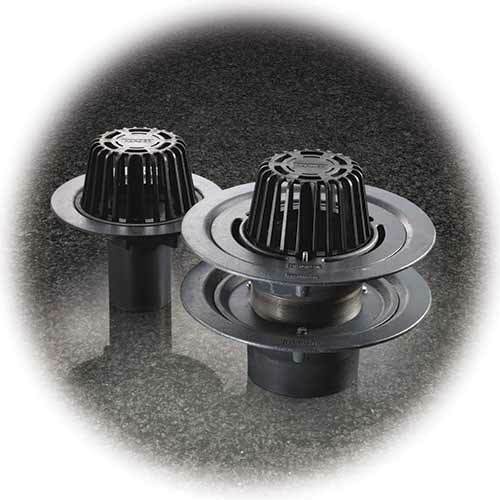 These well designed, tough and highly specified Harmer outlets provide trouble free drainage for a wide range of commercial and domestic application. Light weight but durable, low maintenance and non-corrodible, Harmer outlets are a great choice for draining flat roofs, balconies, car parks and other awkward spaces. Need some help selecting the right Outlet? You can download the Harmer technical manual and the Wade brochure from our drainage downloads page. Harmer Roof Cast Iron provides a wide variety of product configurations, permits the use of copper or lead roofing materials and is ideally suited for load bearing application with vehicular traffic. We've also added part of the WADE range to our NEW dedicated Drainage website www.raincleardrainage.co.uk. A comprehensive range of aluminium roof outlets from the highly specified 'Harmer' range with either 50, 75 or 100mm spigots. In stainless or galvanised steel, these Modulock Roof channel drains are a versatile drainage solution for rainwater runoff and percolation at the perimeter or across thresholds of a building. We have added part of the range to our NEW dedicated Drainage website www.raincleardrainage.co.uk.